Hearty link: Certain genes that regulate the structure of DNA show links to both heart defects and autism. This article was originally published 8 January 2016 based on a study published 4 December 2015 in Science. We have updated the article following publication of a second study 9 October 2017 in Nature Genetics3. Updates appear below in brackets. Mutations that lead to heart problems present from birth may also boost the risk of autism. The finding, published 4 December in Science, reveals an unexpected genetic link between congenital heart disease (CHD) and neurodevelopmental disorders1. Roughly half of all children with severe CHD have neurological symptoms. Doctors have long attributed this overlap to a lack of blood flow to the brain during heart surgery. But the new findings suggest that certain mutations can raise the risk of both conditions. The first substantial list of genes implicated in both autism and CHD came from a 2014 study that uncovered 107 genes with strong ties to autism, including 9 known to be implicated in CHD. The new work identified even more genes that may underlie both conditions. A few years ago, Gelb and his colleagues looked for harmful, spontaneous mutations in 362 children with CHD. Curiously, they found that most children with these mutations also have other birth defects or neurodevelopmental disorders2. So the researchers decided to take a closer look at the genetic differences between children with CHD alone and those who also have a neurodevelopmental disorder or other genetic conditions. Overall, children with heart disease have more harmful mutations in genes that are expressed in abundance in the heart than would be expected by chance. This is not the case in controls. But when the researchers looked at children with CHD alone, they found that these children are no more likely than controls to carry these harmful mutations. However, the researchers did find that children who have heart disease along with other birth defects or a neurodevelopmental disorder are roughly three times more likely to carry one of the mutations than would be expected by chance. The researchers estimate that spontaneous, or de novo, mutations account for CHD in 20 percent of people who have another genetic condition or neurodevelopmental disorder and only 2 percent of people with CHD alone. The cause of the heart defects among children with CHD alone is still unclear. These individuals may have mutations outside of the coding regions of the genome, Gelb says. 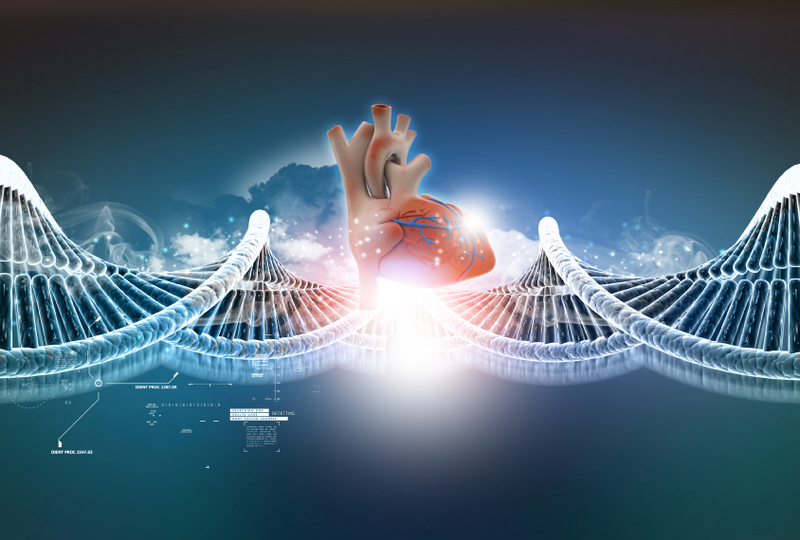 The researchers identified 21 genes with harmful de novo mutations that are present in more than one person with CHD but not in any controls. Five of these genes — PTPN11, POGZ, CHD7, KDM5B and NAA15 — are linked to autism. Overall, they found 69 genes with at least one harmful de novo mutation in people with CHD that previous studies have implicated in neurodevelopmental disorders from autism to epilepsy. Of the 69 genes, 19 modify chromatin — a coiled complex of DNA and proteins that regulates gene expression. Previous studies have shown that mutations in chromatin modifiers boost the risk of autism. The [findings] suggest that genes that alter chromatin structure may have dual roles in regulating the development of the brain and heart. Regardless of the specific functions of these genes, Gelb says the idea that mutations severe enough to cause heart problems might have broader effects should not be surprising. “Mother nature is playing from a limited toolbox, and reuses the same tools again and again for different processes,” he says.